is a jazz and classically trained accomplished pianist, composer, songwriter and producer. He is best known for captivating audiences with his soulful rhythmic feel, innovative hand technique and precise hand speed. Eric has toured with grammy award winning artists such as Adele, Seal, Jill Scott and collaborated with Vivian Green, Aloe Blacc, Kindred The Family Soul, Musiq SoulChild, and Jeff Bradshaw. Eric has performed for audiences of up to 175,000 people, at major festivals such as Glastonbury, and major awards ceremonies including The Grammy Awards, NAACP Image Awards, and televised programs such as The View, Good Morning America, The Tonight Show and Saturday Night Live. 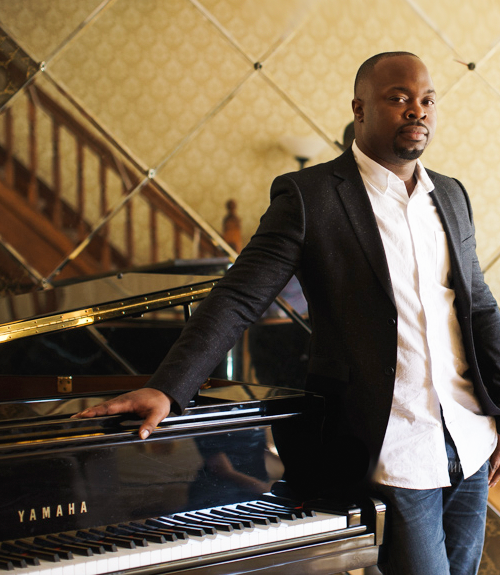 Eric is a Yamaha endorsed artist and currently resides in Philadelphia.